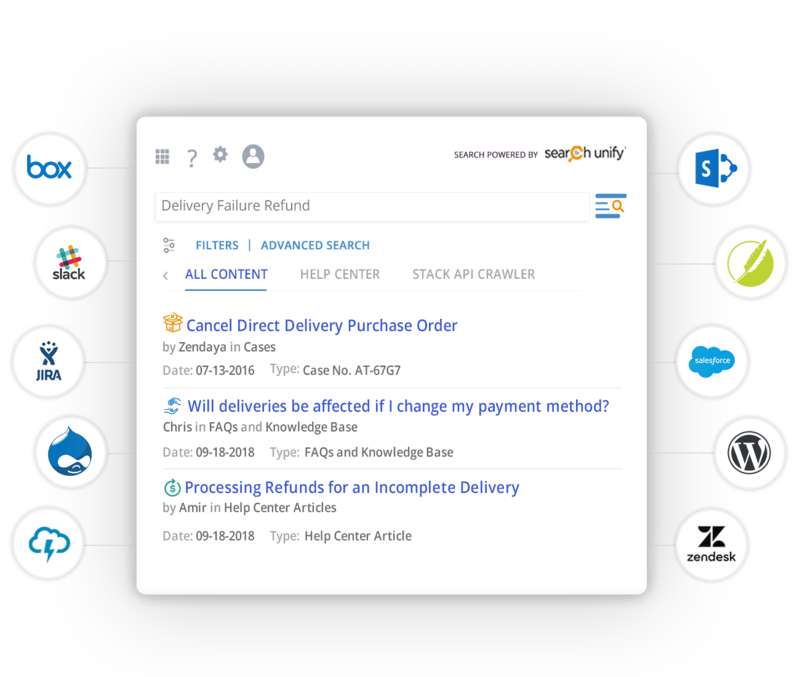 Instantly index content from enterprise platforms like Lithium, SharePoint, JIRA etc. 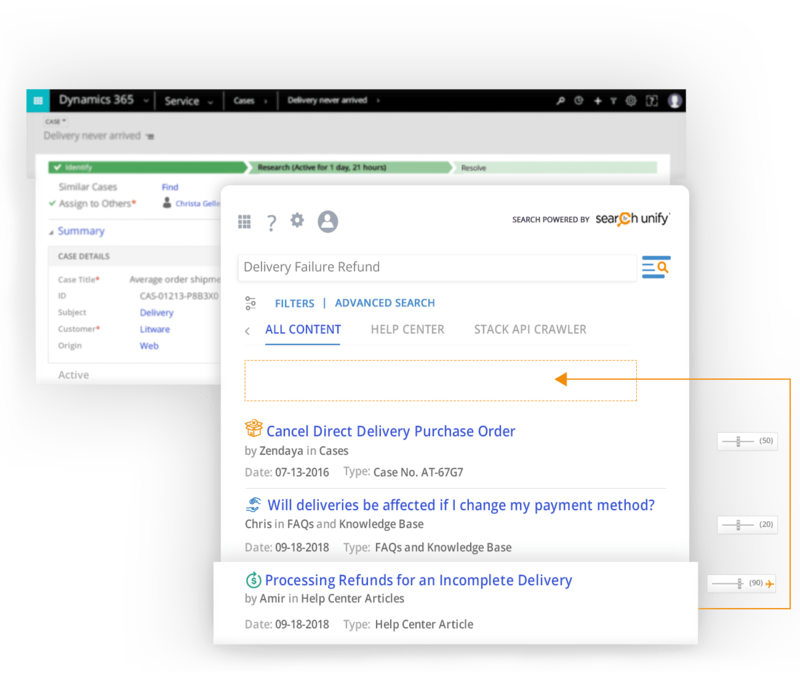 with out-of-the-box connectors or a robust API, providing your customer support agents with a single set of unified results from practically anywhere, anytime! Empower your agents to cut through the noise to get to the information they need when they need it. 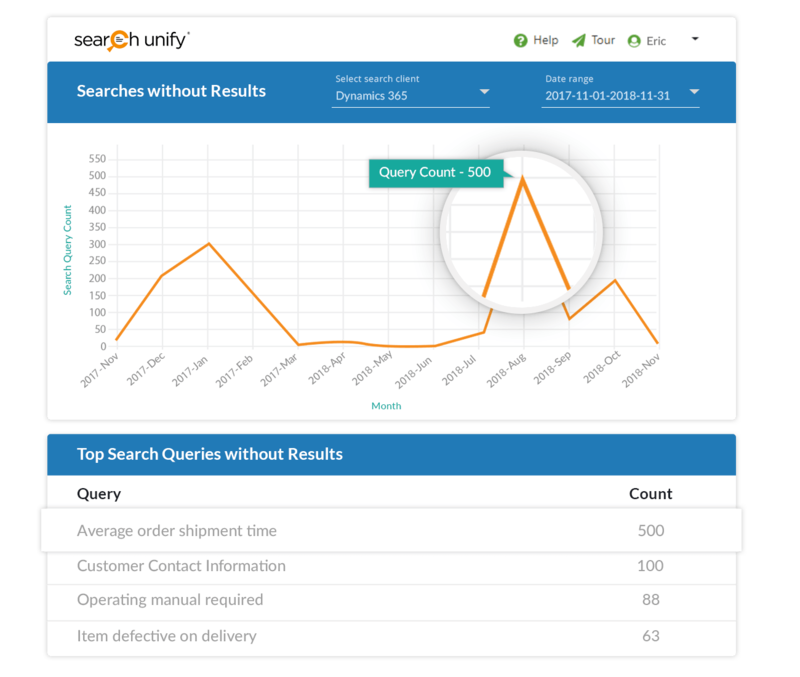 By learning which search outcomes are able to resolve cases based on previous user sessions, SearchUnify recommends content right within the case view and auto-tunes it so that the most helpful result appears at the top. Discover and fill content gaps, and identify potential issues much faster with rich insights into how your agents search for and use case-resolving content. 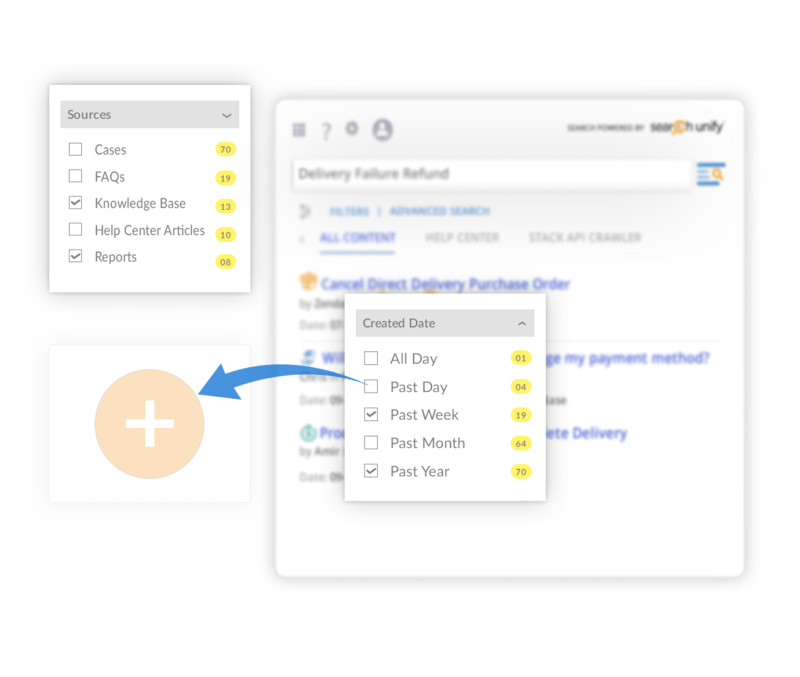 Take advantage of extensive inbuilt reporting that is completely customizable!